There are strongly opposing views on the issue of whether drinking distilled water instead of filtered, bottled or tap water is a safe, healthy and possibly even ideal option. Let’s look at the range of opinions, likely pros and cons, and some research data. Is chlorine removed through distillation? 15. Is constant consumption of distilled water safe? Distilled water was the first artificially-produced demineralised water. It was later followed by deionisation and reverse osmosis for achieving similar results. Initially used mainly for industrial, technical and laboratory purposes, these technologies were then used more in drinking water treatment from the 1960’s in certain arid and coastal areas, where highly mineralised brackish water or sea water represent almost the only water available. Ocean-going ships and spaceships also needed to produce/store demineralised water. These water treatment methods were not used elsewhere because they were technically exacting and costly. 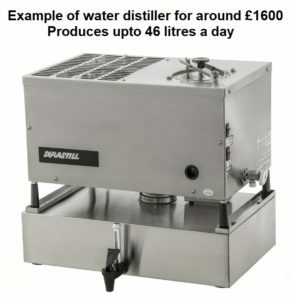 However, nowadays, it’s possible to buy a bewildering range of counter-top water distillation and reverse osmosis machines that can be used in your own kitchen – and a whole industry has mushroomed selling, marketing and advocating the benefits of water distillation machines, as well as reverse osmosis machines (the latter of which we will not really touch on in this blog since it produces similar results to distillation). But is drinking distilled water safer than, or even preferable to, drinking tap/bottled water in terms of the health claims made for it? There’s a really wide spectrum of opinion on this matter, ranging from those who consider it a total No No, like Dr Mercola 1 , who considers that you’ll die earlier if you drink it, through to the likes of Dr Joel Fuhrman and Dr Alan Goldhamer 2 who each consider it not only safe, but also ideal even during periods of prolonged water fasting for general detoxification, as well as for treating specific diseases, such as diabetes 3 . It’s worth pointing out that Dr Mercola has been repeatedly investigated by the FDA and been found guilty of unfounded and illegal claims for his products – perhaps not the best endorsement for a doctor’s opinion on anything 4 . Drs Fuhrman and Goldhamer on the other hand have no such stains on their reputations and I would be happier to trust their opinions – especially when supported by peer-reviewed research data. A 2014 study 10 found that nitrite pollution in the tap water supply may cause baby birth defects such as cleft palate or missing limbs. Nitrites (and nitrates 11 are removed through distillation. A 2013 study 12 found high levels of arsenic and barium in fresh drinking water sources. Both of which are removed through distillation. 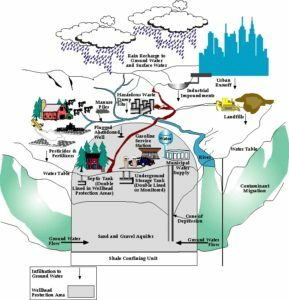 A 2018 study 14 found levels of PFOS 15 and PFOA 16 , which are often used in manufacturing, to be higher in drinking water than currently allowed by the U.S. Environmental Protection Agency. These chemicals, also known as polyfluoroalkyl and perfluoroalkyl substances or PFASs, have been linked to a myriad of a health problems, like thyroid disease, decreased fertility, high cholesterol, and hormone suppression. PFOA and PFOS are removed through distillation 17 . A 2007 paper 18 found that copper in tap water may increase the risk of having Alzheimer’s Disease. Copper is removed through distillation. A 2010 study 19 pointed out the dangers to human health (including causing high blood pressure and damage to the brain, nervous system and kidneys) that are posed by lead contamination of tap water. Lead is removed through distillation. Again, quoting from the above NebGuide source: “Removal of organic compounds by distillation can vary depending on chemical properties of the contaminant. Certain pesticides, volatile solvents, and volatile organic compounds (VOCs) 21 , such as benzene and toluene, with boiling points close to or below that of water will vaporize along with the water as it is boiled in the distiller. Such compounds will not be completely removed unless another process is used prior to condensation.” However, a water distiller that has an added carbon filter will remove these VOCs 22 23 , and there are water distillers with a preheating phase that can remove these inorganic chemicals, although you will have to pay more for these models. It’s also useful to note that the boiling process during distillation will generally remove all microorganisms. However, if the distiller is idle for an extended period, bacteria can be reintroduced from the outlet spigot and may recontaminate the water. Opinions seem to differ on whether chlorine is removed through distillation. The reason for this appears to rest in the fact that chlorine has a lower boiling point than water, so it’s not necessarily removed in all types of water distillation machines – whether industrial or counter-top varieties. 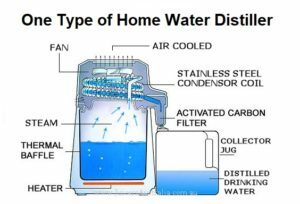 However, as a rule of thumb, if you are considering buying a home water distiller, it’s worth checking whether or not it has the added ability to filter out chlorine (as well as VOCs). You may be interested in reading more about some of the worst cases of mass contamination of drinking water: “11 Insanely Terrible Water Contamination Disasters in History.” 25 . Distillation is a process that first boils water. The unwanted chemicals and minerals are left in liquid state, while the pure water is converted to steam. 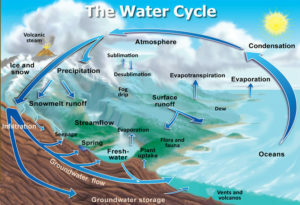 Then it is converted back to water by condensation, a process that’s similar to evaporation in Earth’s natural water cycle 26 . Distilled water is used in a wide range of industries and organisations that require the purest form of water: laboratories, industry, medicine, perfumes, and food processing. Although there may also be additional purification methods used in addition to distillation (such as filtering and reverse osmosis 28 ), there’s no doubting its effectiveness in purifying water. Not all water companies around the UK add fluoride to tap water, but around 10% of the UK population have fluoride added, as of 2015 29 , whilst around 61.5% of the total U.S. population, as of 2008, have fluoride in their tap water 30 . Fluoride in tap water is a contentious issue. Suffice to say, however, that distillation is effective in removing almost all fluoride 31 , although reverse osmosis is apparently even more effective 32 . Parasites and bacteria in drinking water can caused a number of potentially fatal water-borne diseases 33 . It appears that all of these pathogens can be removed through the distillation process 34 35 . Distilled water effectively removes dangerous toxins and poisons from the body. This is one of the reasons that it is widely used during water fasts in order to optimally detoxify the body at a cellular level. The kidneys are perfectly capable of maintaining a balance of minerals and will prevent required amounts from leaching out in the urine. ​There’s a common misunderstanding that we all need the minerals and salts that can be contained in tap water. In fact, if you are eating a balanced and healthy diet (ideally WFPB) then you get all the minerals and salts you need from food. 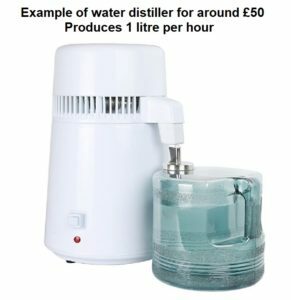 Distilled water (especially when produced in your own home water distiller) is significantly cheaper than spring or bottled water. It’s also important to note that there have been and probably continue to be some worrying revelations about the contaminants in spring/bottled water – with several cases where tap water and even polluted ground water have been sold as spring water. 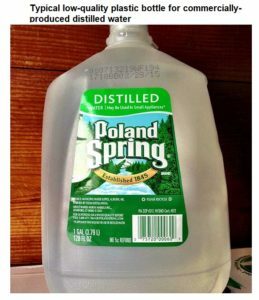 There is some debate about spring vs distilled water. This is largely based on the fact that there’s a taste difference between the two, with distilled water tasting ‘flat’ in comparison. As well as being drunk, distilled water is advocated by some for use in making soups, beverages and even exclusively for all cooking purposes. However, opinions do differ on this issue. In coffee makers, it’s claimed that distilled water might mean you don’t have such a problem with cleaning, since there will be minimal or no mineral deposits to get rid of. However, others say that it results in a very inferior tasting coffee 39 . Making soup using distilled water is thought by some to be an excellent idea because of the fact that distilled water is very ‘soft’ 40 , due to the absence of minerals – thus able to very aggressively absorb other minerals in the food within the soup mix. This is not such a bad thing, since the the water will also be consumed along with the food ingredients. 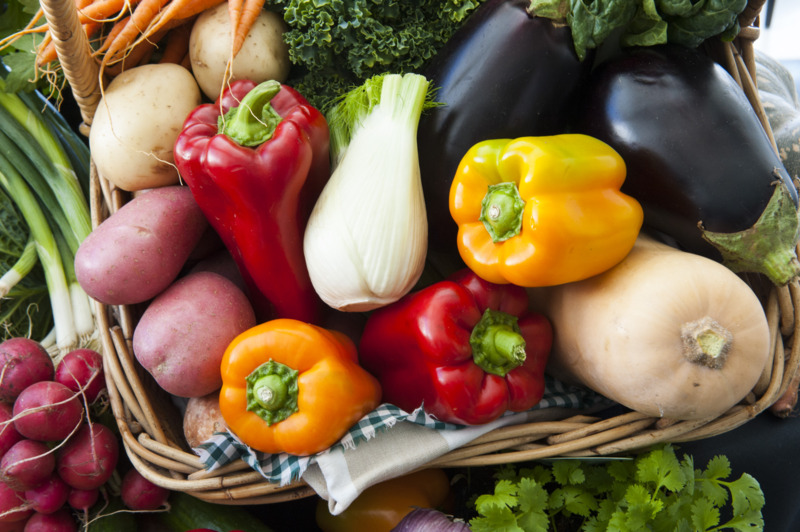 Boiling/steaming vegetables is clearly, therefore, a somewhat different matter. 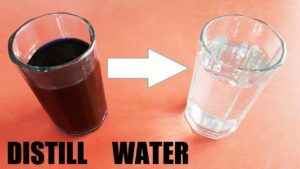 The fact that distilled water draws out minerals from food would mean that if the food is eaten without the water, then there’s going to be a reduction in the amount of minerals remaining in the food compared with boiling/steaming in plain tap water (which will be ‘harder’ 41 ). For decades, studies 42 43 have focused on the potential health issues related to using hard – mineralised – water for cooking, rather than soft – demineralised – water, whether it was demineralised through deionisation 44 , distillation or reverse osmosis. Particular concern was the removal of calcium. magnesium and potassium from the water since this might be linked to increased cardiovascular mortality rates. Admittedly, if you are eating an optimally healthy diet (have a look at a recent blog 45 if you are interested in completing a brief interactive survey about whether you are doing so), then you will be getting ample minerals and other nutrients from your food without having to worry too much about the hardness or softness of your tap water. 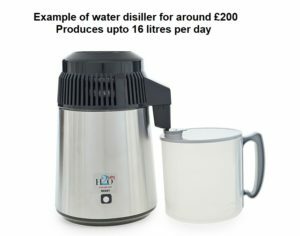 However, the decision whether to use distilled water for boiling/steaming vegetables would, I suppose, depend on whether you were intending to also drink/use the resulting re-mineralised water. Boiling rice in distilled water should, one would think, thereby stand a good chance of removing more of the arsenic that we know is in much of the rice sold around the world 46 47 . As an aside, it’s not wise to cook with distilled water when using aluminium pots and pans. Since the distilled water has had the minerals removed, the balance of ions on your tongue is upset, resulting in an unfamiliar taste sensation. Dr Fuhrman and others state that one gets used to its taste (or lack of taste?) within a number of days. Any search on the internet 50 51 will quickly reveal that there are a wide range of counter-top models available, but they all tend to take a relatively slow time in producing the end product. There are electric, non-electric and solar powered versions available. You could argue that a possible negative, in any event, is that you’re creating more carbon emissions when you spend energy and resources on distilling your water, but is buying commercially-produced distilled water in plastic bottles any better? Depending on the size of your budget and the level of purity and speed of output that you want, there’s a wide range of prices. There are many websites 52 53 54 that publish in-depth reviews of different classes of water distillers. Once again, opinions differ on this issue, ranging from those who consider the slight acidity (a pH of around 6, compared with the neutral of 7) of distilled water will cause the body to become acidic and result in the condition known as acidosis 55 , through to those who consider that the acidity of distilled water is neutralised before it’s even absorbed by the body. Acidosis is a very rare condition and is only recorded in extreme cases where a person has been drinking only distilled water for a long period and does not get proper nutrition. There are also cases 56 reported of infants developing acidosis and brain oedemas when all their drinks have been prepared with distilled or low-mineral distilled water. An in-depth study by the World Health Organisation 57 suggests that both hyponatremia (critically low blood serum levels of sodium – less than 135 mmol/L) and hypokalemia (critically low blood serum levels of potassium – less than 3.5 mmol/L) may be associated with drinking very large quantities of distilled water, or drinking it solely over a very long period of time. Once again, this is assuming that the rest of the diet is deficient in these two minerals. Interestingly, various other studies 58 59 60 61 that looked at the specific causes of these two conditions make no mention at all of distilled water as a potential cause. Distilled water would have been expected to appear as a causal agent in such studies since its consumption is thought to reduce the levels of sodium and potassium in the body. I suspect that the reason these conditions (as with distilled-water-consumption-induced acidosis) are not generally listed in such studies is because most people, certainly in the developed world, eat a diet with probably too much sodium and, if potassium levels are found to be low, which might happen with a high-animal/low-plant food diet, the culprit is much more likely to be poor diet than the amount of distilled water consumed. Hypomagnesemia (critically low levels of blood serum magnesium – less than 1.25 mg/dL) has also been of concern to researchers 66 . if there is insufficient in the diet or if too much is removed through any cause, including its removal through the distillation process. An additional point is worth making on this matter: a high acid diet is one which is animal-based 68 . A non-SOS WFPBD (non added sugar, oil or salt wholefood plant-based diet) will always be alkaline, low in sodium and high in potassium. And you can probably guess what sort of diet most people eating the SAD (standard American diet) consume when it’s reported that 98% of Americans are deficient in potassium 69 . For people eating such a diet, it would be more advisable to increase the fruits and veg and decrease the animal and processed foods – a far better solution than simply drinking distilled water to try and detoxify and demineralise their already toxic and mineral-deficient bodies. It’s possible that this might affect the taste of commercially-bought distilled water which generally comes in low grade plastic containers, since the water may act as a solvent and partially dissolve these water bottles given the right circumstances. It’s best to store in glass or stainless steel. Interestingly. distilled water is also known to corrode copper pipes 70 . This is an interesting argument against distilled water, and it’s usually made by companies that sell spring water, unsurprisingly enough. Whilst there is an element of truth in this contention, it might also be argued that the reason we even consider using purified water (whether via distillation or other techniques) is because humans have been so effective at polluting almost all the fresh and salt water on our planet. This is, perhaps, the most crucial question that needs addressing. I have no doubt that there are benefits of drinking distilled water during a short water fast (I’m doing one at this moment, as it happens) and during the type of longer medically-supervised water fasts used by Dr Goldhamer et al. However, what about drinking it all the time? One study, 66 looking specifically at the use of demineralised water from desalination plants for use with the armed services, considers that it’s not a good idea to consume demineralised water for long periods of time. They prefer chlorination as a process of purification against potential water-borne pathogens. This can appear to be pretty scary stuff, especially for those who eat a mineral-poor diet, who decide to drink only distilled – or otherwise demineralised – water. For those on a healthy, mineral-rich diet (i.e. people who do not rely on tap water to provide such minerals as chlorine, calcium, magnesium and potassium) my opinion is somewhat different. There’s nothing I have yet come across in the research literature that would lead me to worry about any healthy adult – who is not on medication and who eats an optimal WFPB diet – from drinking distilled water while they are on a short-term or planned/medically supervised long-term fast. Additionally, I can’t see any great concern for any such individuals who wish to use distilled or otherwise demineralised water in combination with a WFPB diet so long as they have their blood mineral levels tested on an annual or bi-annual basis, as I would suggest in any case for anyone interested in maintaining optimal health. However, for those who are not eating a WFPB diet, I would not recommend drinking distilled water in place of tap water – particularly in countries or regions that have high levels of purity in their tap water (something that you can find out by going to the website of your local water provider). If you decide not to use water distillation, it’s always worth considering buying some form of water filter for your tap water. You can find lots of websites reviews 72 73 74 on standard non-demineralising water filters, including those that can be plumbed into your tap water system 75 . 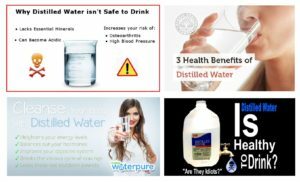 Additional advice on distilled water is available from Medical News Today 76 , Helathline 77 , Researchgate 78 , All About Water Filters 79 and elsewhere. J Indian Soc Pedod Prev Dent. 2008 Mar;26(1):6-11. The effect of water purification systems on fluoride content of drinking water.